These compassionate and skilled ERS team members made a lasting impression on Trish in the way they enabled her father to live out his last years with dignity, choice, purpose, and freedom. This year, ERS was overwhelmed to receive more than 250 nominations for this special award. 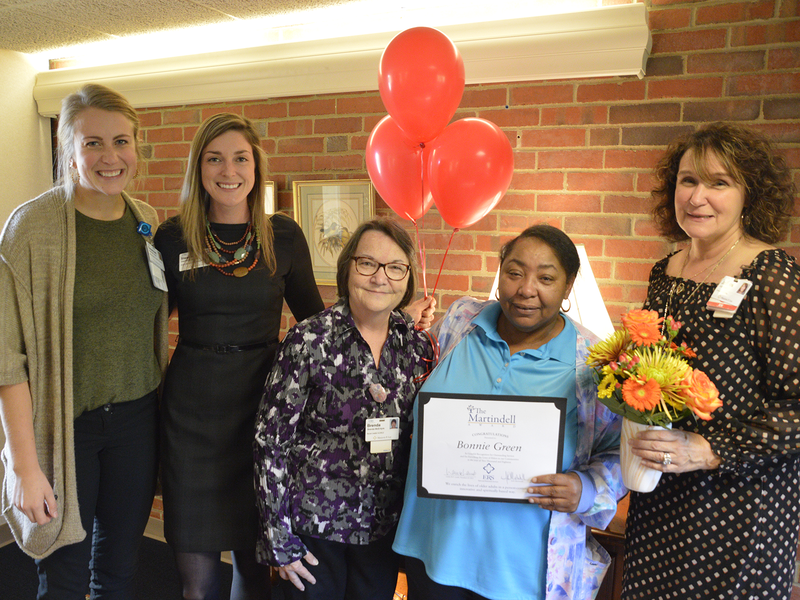 The Martindell family carefully studied each nomination and chose two winners for 2018: Bonnie Green, Resident Assistant at Marjorie P. Lee Retirement Community in Cincinnati’s Hyde Park neighborhood, and Rosy Ngoie-Nzeba, Certified Medical Aid (CMT) at Episcopal Church Home in Louisville. Trish Martindell’s husband Jack and her stepdaughter Kim presented the award to Bonnie and Rosy earlier this month, along with a $1,000 check. Here’s more about them. Kim and Jack Martindell presented the award to Bonnie Green at Marjorie P. Lee. 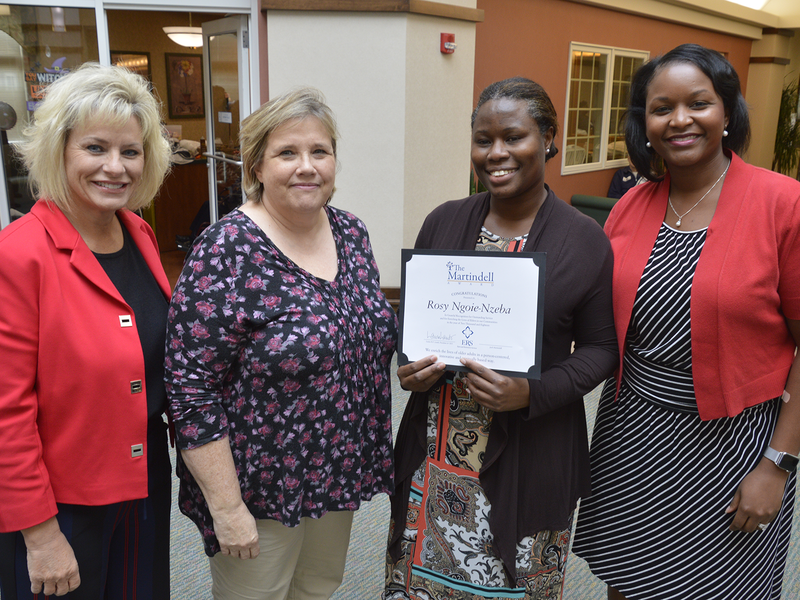 Rosy Ngoie-Nzeba, Certified Medication Technician (CMT) at Episcopal Church Home with Kim Shellhart, Paula Cates, and Beverly Edwards. "Rosy is both a skilled worker and a compassionate caregiver. She offers a smile and a kind word to anyone who needs it." 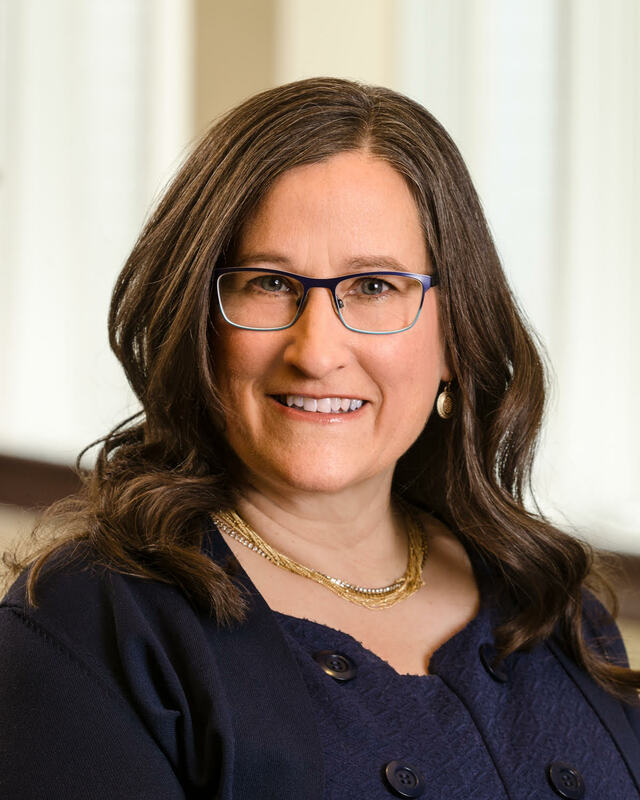 Trish Martindell passed away unexpectedly in August of 2016, and we at ERS sorely miss her presence in our lives. But we are honored that her legacy lives on through this special award at ERS. 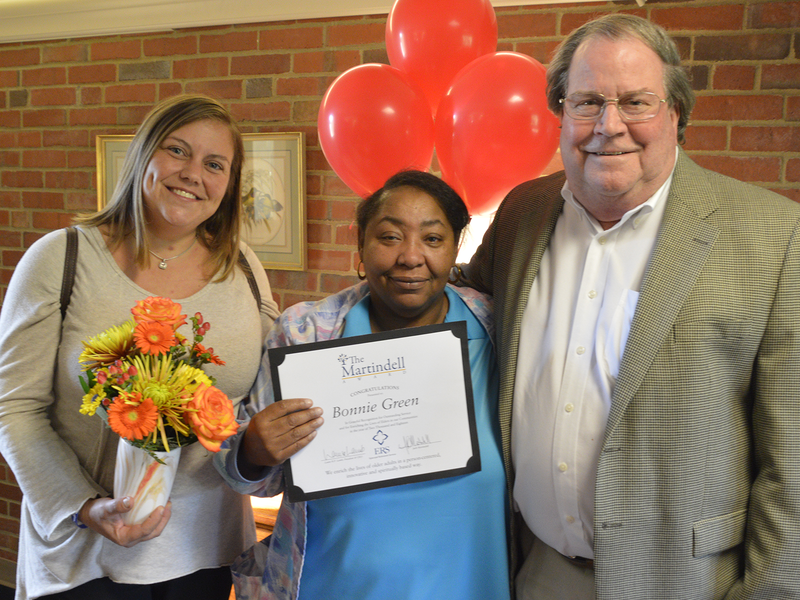 Congratulations to Bonnie and Rosy, and thank you for all you do to put our residents first.